Rare find. Lovely brand new two-story home in the heart of Coral Gables ready to move in. 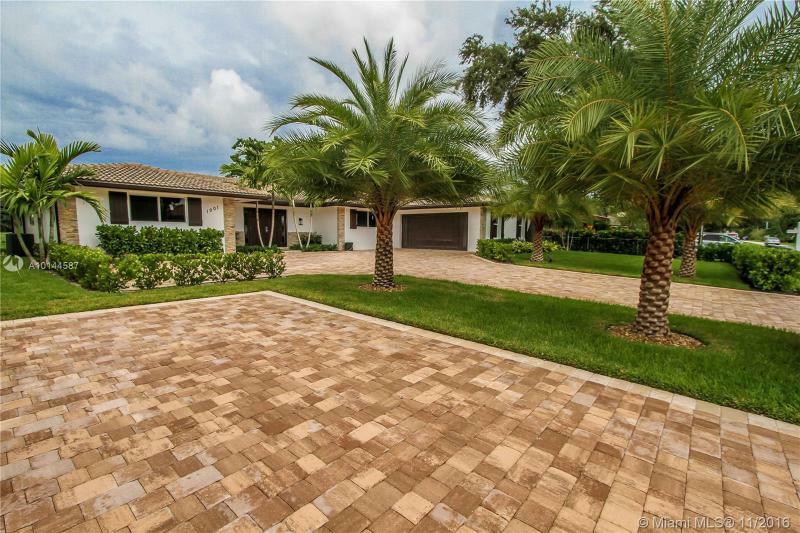 This spacious home features, high ceilings, beautiful pool, Porcelain floors thru-out. Exceptional master bathroom with soaking tub, marble shower wall tiles, double vanity with marble counter tops, and so much more. Located in great family neighborhood on a semi private street, close to world class dining, shopping and great schools. Marvelous home located in prestigious Coral Gables. This home of over 2,600 sq. ft. has 3 bedrooms and 2 bathrooms on an 11,500 sq. ft. lot. Beautiful kitchen with s/s appliances and built-in wood cabinetry. Covered patio and sparkling screened pool overlook the waterway. Fantastic location, remodeled, move in condition! 4BR 2.5BA, 2 Car Garage over 3500 SF. on oversized 15000 SF. lot facing magnificent endless views of the Golf Course and Lagoon. Home features Beautiful Double Door entrance into Split floor plan w/State of the Art open concept modern, contemporary look Kitchen, SS KitchenAid appliances, Glass Tile Backsplash, Cooking Island, Convection microwave oven. Paver Driveway. Impact windows. 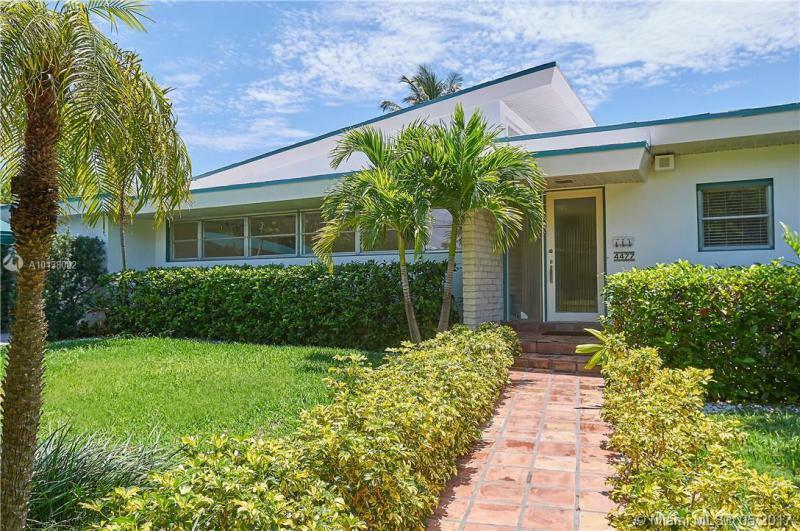 Mid-Century MiMo home in the quietest street in the neighborhood. Perfect for raising a family! Enjoy short walks to shops, restaurants, beaches, hospitals, parks, A+ schools & houses of worship. Oversized lot & extra-large heated pool w/Jacuzi. high-vaulted ceilings, central A/C, spacious eat-in kitchen, dining room, generously sized rooms w/plenty of closet space. Maida quarters have independent entrance. Additional convenient storage shack located on the side of the house. Beautiful home in the heart of Weston. Too many updates to list, Modern kitchen with stainless steel appliances, updated bathrooms, and a gorgeous pool with lake view. Enjoy tons of storage this homes large walk-in closets and 3 car garage. Master Bedroom has an additional room that can be use as: exercise room, sit-inn/study room. Stunning views from all open areas. Show it with confidence!!! WATER SPORTS FRIENDLY !! EXCLUSIVE GUARDED WESTRIDGE ****PORTE COCHERE ENTRY** SOLID CONCRETE COVERED GAZEBO SUMMER KITCHEN *** MARBLE FLOORS ** STONE FIREPLACE *** OUTRAGEOUS CHERRY WOOD CLOSET ORGANIZERS **** UPGRADED KITCHEN, GRANITE, DOUBLE OVEN, CONVECTION OVEN, BBQ/PANCAKE GRILL, WINE COOLER *** ACCORDION SHUTTERS, 8-CAR PARKING, LUSH LANDSCAPE*** NEAR A+ SCHOOLS, 20 MINUTES TO BEACH/AIRPORT. This Mediterranean beauty includes a Main house with 3 bedrooms and 2 bathrooms with an inviting Florida room with high vaulted ceilings, wood-burning fireplace with double French doors that lead into screened-in outside patio perfect for entertaining. Separate 2 bed 1-1/2 bath cottage which has its own upgraded kitchen that opens to a beautiful lush tropical landscaped pool area. Wood floors and Impact windows throughout the house. 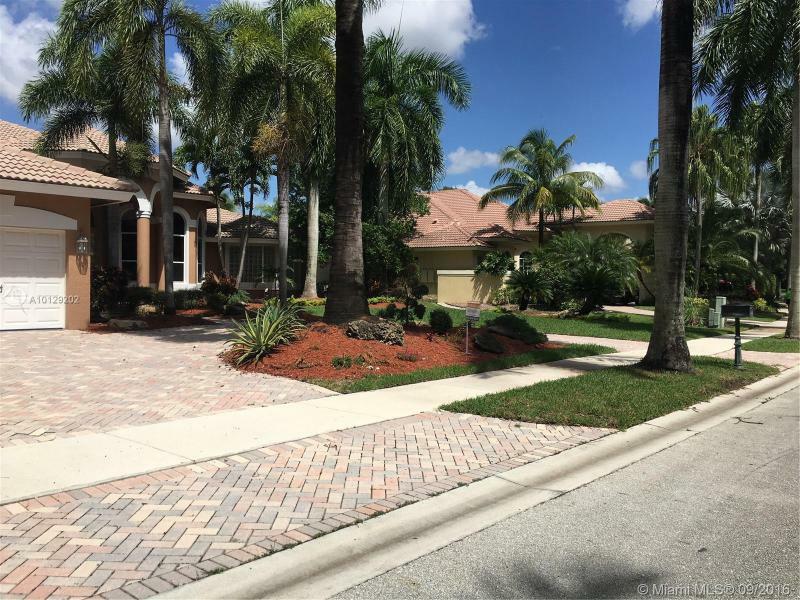 Outstanding 5/3.5 on quiet cul-de-sac in guard-gated Pinecrest & Gbls by the Sea w/park & top-rated public & pvt schools. Impressive entry/foyer lead to formal din/liv. Lg family & Florida rm showcase views of pool & patio complete w/covered wet bar & surrounded by mature landscaping. Volume ceilings & ample natural lighting throughout spacious floor plan. 2nd floor master suite/spa featuring 2 walk-in closets. Lg cir drive, 1+car gar. 2007 new roof. 3 Trane AC?? ?s 2010.Shutters.